For two years during the Second World War, the Secret Annex served as a hiding place for Anne Frank and the other people there. After the war, it fell into disrepair. The Anne Frank House was established in 1957 and its main purpose was to preserve the hiding place. In June 1945, Otto Frank was the only one of the people from the Secret Annex to return from Auschwitz. Together with his staff, Otto tried to rebuild Opekta and Pectacon, his companies. The former hiding place, the Secret Annex, was left empty. After the war, the previous hiding place at Prinsengracht 263 and the neighbouring properties had fallen into disrepair. In 1950, the Berghaus textile factory wanted to buy the houses on the corner of the Prinsengracht and the Westermarkt. Prinsengracht 263 was one of them. Berghaus planned to demolish the buildings and construct a new factory building. Otto Frank struggled when the demolition was announced. He was renting the building from Wessels, the owner, and they had agreed upon his right of first refusal. In 1953, Opekta bought the building from Wessels. However, they lacked the funds for proper restoration work. 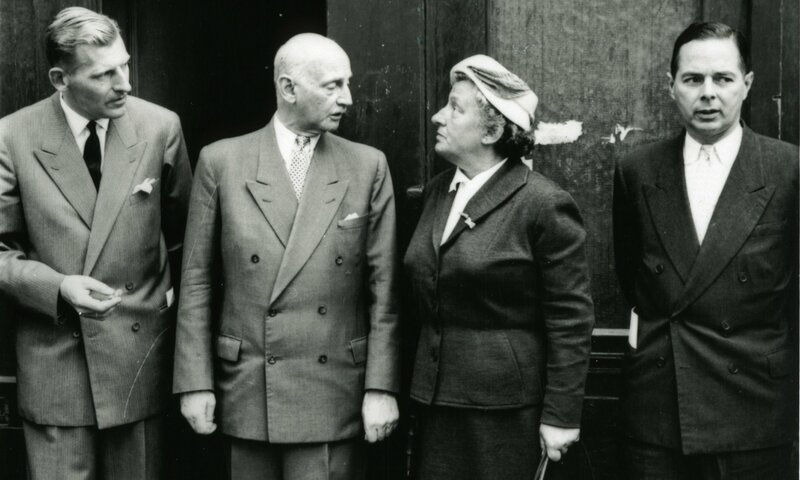 In 1954, Otto Frank reluctantly sold the building to Berghaus. Demolition seemed inevitable, the former hiding place was completely empty and dilapidated. A committee of prominent citizens of Amsterdam took the initiative to save the building where Anne had written her diary from demolition. The Anne Frank House organisation was established in 1957 and its main purpose was to preserve the hiding place and open it up to the public, and to promote the ideals of Anne Frank in the process. 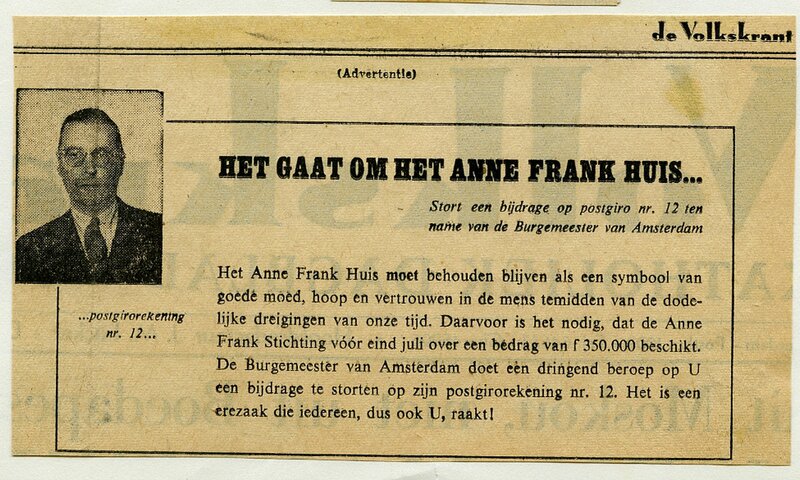 The Berghaus company abandoned its plans for a new factory building on the corner of the Prinsengracht and in 1957 donated the former hiding place at Prinsengracht 263 to the Anne Frank House organisation. The neighbouring properties were purchased by a property developer. After long negotiations with the organisation, the project developer agreed to sell all properties for 350,000 guilders. Mr Van Hall, the then mayor of Amsterdam, personally committed to raising the amount but succeeded only in part. In 1958, the municipality of Amsterdam and the University of Amsterdam jointly planned for student housing in the buildings on the corner of the Prinsengracht and the Westermarkt. The University provided the advance funding and made up the shortage of the Anne Frank House. And so, the former hiding place was eventually saved. The hiding place at Prinsengracht 263 was restored and it opened to the public on 3 May 1960. The Secret Annex was left empty at the request of Otto Frank. After the opening, the number of visitors to the House increased continuously, from several tens of thousands in the first years, to 1.2 million visitors a year today.